Good Earth Beauty is a unique beauty shop with a range of natural, organic and cruelty-free products chosen and personally tested by their staff. Product lines include skincare, bath and body, cosmetics, haircare, perfumes and pet care. They recently sent me a few items from their Good Earth Beauty Exclusives line to try out and review. Immediately I liked their simple and earth friendly packaging. This was actually my first experience with a lip scrub and I really liked it. The sugar gently exfoliated and softened my lips and it had a light pleasant lemony scent and taste that was good enough to eat. I only had to use a little every time and I noticed that my lip products applied better after each use. 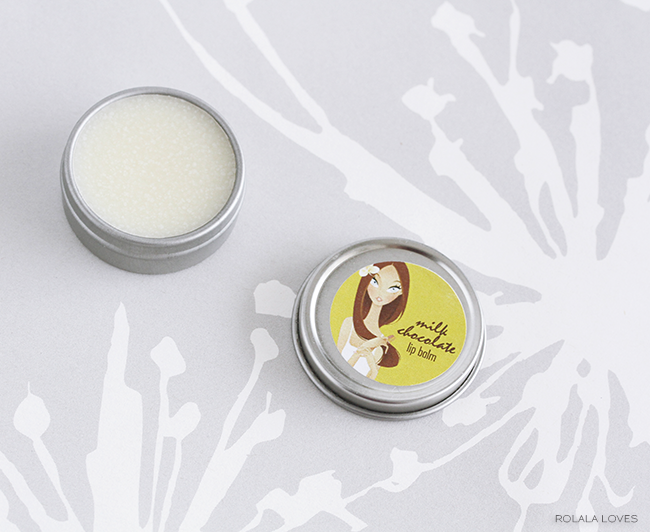 This lip balm had a subtle sweet flavor and a lightweight texture. I had to soften it a little out of the tin to apply on my lips but it was smooth and had a nicely moisturizing effect that doesn't wear off. I had a positive experience using these Good Earth products. I like that they worked and that I can actually understand each ingredient that is in the products I tried. Since these products are natural and chemical free, they're good for you and for the earth. Along with their exclusive products, they also carry a range of other natural and ethical beauty brands. Their prices are very reasonable and they offer free shipping on all orders in the US and free samples are included with every order. They also ship internationally. 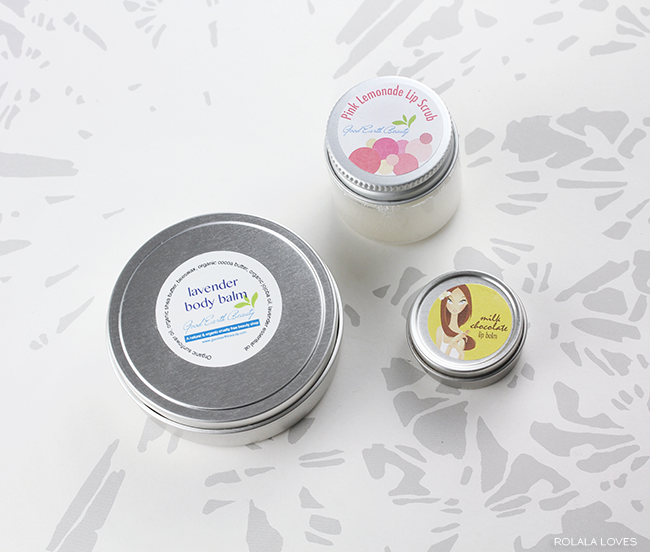 Good Earth Beauty wants to give away one of every product that I reviewed here to one lucky rolala loves reader. This is an international giveaway which will run until midnight Sunday, May 25. Please follow the instructions and enter via Rafflecopter below. Good luck! Disclosure: Press samples were provided for the purposes of this review. There was no other compensation and all opinions expressed are my own. Great giveaway! 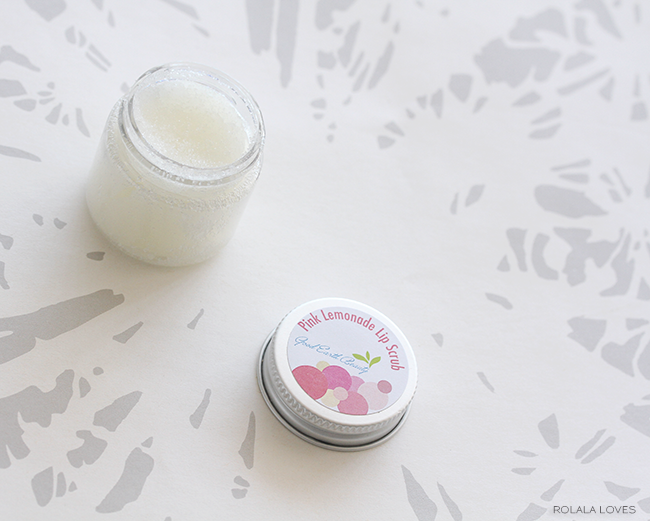 I would love to try the Pink lemonade lip scrub! Nice review, seems good products! The pink lemonade lip scrub sounds delicious lol. Seems like a really great brand, will definitely check out! Hi Rowena! To be honest I didnt know about this brand but it sounds very good, especially cause it uses natural ingredients. The samples you got inspire me a lot, especially the lip scrub, Id love to try it too, I just need something like this and seems is pretty hard to find over here. !!!! chocolate milk balm! that sounds heavenly!!! Ooh I love the minimalistic packaging about these products. Something about them looks refreshingly hand-made. Your reviews seem pretty positive so I might have to check them out. I've always been interested in lip scrubs but wondered if they would have any effect, so your words mean something. Smoother lips? Yes please. These products and their ingredient lists look soooooo natural and good Rowena. Definitely want to check this brand out. love that it's cruelty free! i'd like to try the Body Butter Morning Rain Shea Butter Butterz! thanks rowena! Wow such a lovely giveaway hun. Oh I really want to try that lip scrub! I would try the strawberry lip balm! I haven't heard of this range before, but from the pictures alone I can tell that I will love it. I need that lip scrub in my life! Thanks for stopping by, I always value your opinion on my posts. Oh these do look we need smellanet haha. And anything with shea butter in it is all good by me! Wow... chocolate, strawberry, I love them all!!!!! The body balm unscented is something I would like to use. OMG Rowena, I have to try them. The lavender one sounds so amazing. Great product information! i will try it for sure! 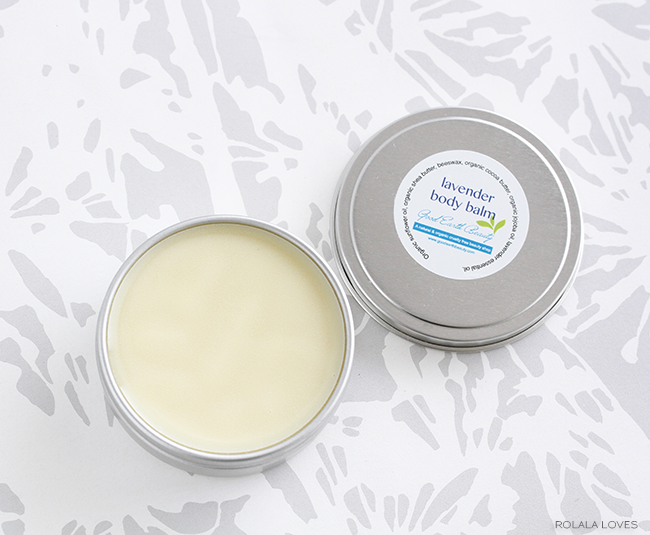 Oh, the lavender body balm sounds amazing!! I'd like to try the Pink Lemonade Lip Scrub! Oh I WANT this lip scrub! I am so picky about products nowadays! Of course there are a few things I use that aren't super organic/healthy but overall my collection is pretty clean. I love this packaging too! 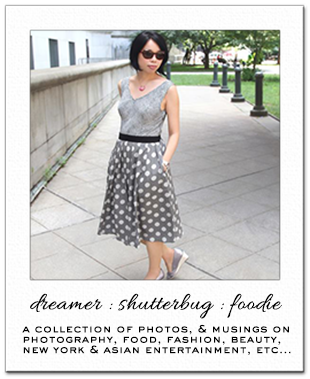 Thank you for sharing great products, Rowena! Oh the lip scrub looks and sounds good! perfume pumpkin chai sounds interesting! i want some bubble gum flavored lip balm! i hope id win! I love the lip scrub I have, and they definitely last a long time! I wondered why they pretty much all come in a small bottle and it's because you only need a tiny bit! The products all sound great! Yum, this sounds so amazing. Lovely post. The packaging is so cute. I will defo get these. Oooo yes please. I would love to try there stuff and their lemongrass soap. Nice give away. Just entered hope I win. Milk chocolate and pink lemonade!!! That's ALL I need to know! I would LOVE to try their products. Everything looks so good and works. I entered Rowena. Great review. Oops! I forgot! I would want to try their Pink Lemonade Scrub. I've never tried one before. Wonderful line Rowena. I believe more and more companies are taking a natural approach to skin care. Its the right approach. ohh this is such a wonderful line! Thank you for the review and the giveaway!! A product I like is the coconut shampoo/conditioner line!! Pumpkin Chai shampoo and conditioner! I'd like to try the Soap Bentonite Clay Detox. I'd be most interested in the Lip Balm Lavender Vanilla. Stopping by from the link up! I love that chocolate espresso soap! I'd love to try the Coconut Lime Shampoo! I love lip scrubs! So, I would most like to try one in Pink Lemonade!! I could really use the Face Serum Beauty Elixir Overnight Glow. I'd love very much to try Face Serum Beauty Elixir Overnight Glow. Thanks for the giveaway. The Face Serum Beauty Elixir Overnight Glow! That just sounds amazing! Hello! I would love to try the Face Serum Beauty Elixir Glow Overnight. It sounds heavenly. Thank-you! I would love to try the morning rain body butter. I would love to try the Lip Balm - Pink Lemonade. I can't go without lip therapy. I'd love totry this - Body Butter Morning Rain Shea Butter Butterz. I would love to try the Chocolate Espresso Moisturizing soap, it sounds delicious. Strawberry Lip Balm sounds great. I would love to try the pumpkin chai shampoo! Thanks for the giveaway! Shampoo Coconut Lime! I wanna tryy! Mineral Face Powder - Loose would be the product I would like to try! I love the coconut lime shampoo! I would love to try Lip Balm Bubblegum!!! Pink Lemonade Lip Balm sounds nice. I like all the lip balms! Count me in Rowena!! They have such amazing products! The wheatberry restorative shampoo is among my favourites! Fingers crossed! !